Data definition language directly effects on the structure/schema of the database. CREATE, ALTER, DROP are the commands of DDL. 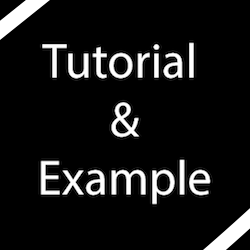 CREATE: Creates new database, table, or view of table. ALTER: Modifies the database or table. MODIFY, ADD keywords are used in altering data like altering table schema or altering database. If user remember the things after creation of table at that time alter command used for modification. DROP: Deletes entire table with its structure/schema or deletes view of table or other objects of database. 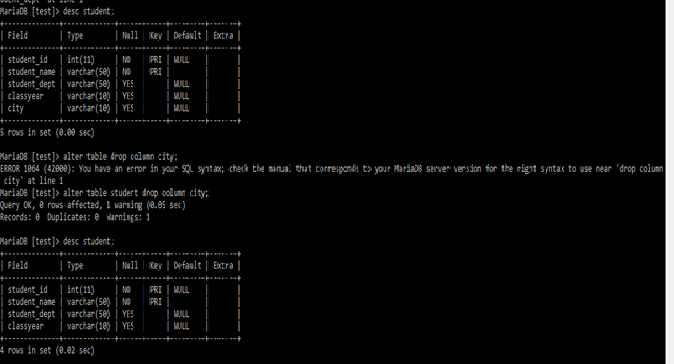 See the output screen carefully, screen prompting MariaDB [test] >, here MariaDB is the database System and test is the name of database in which we are performing SQL operations. 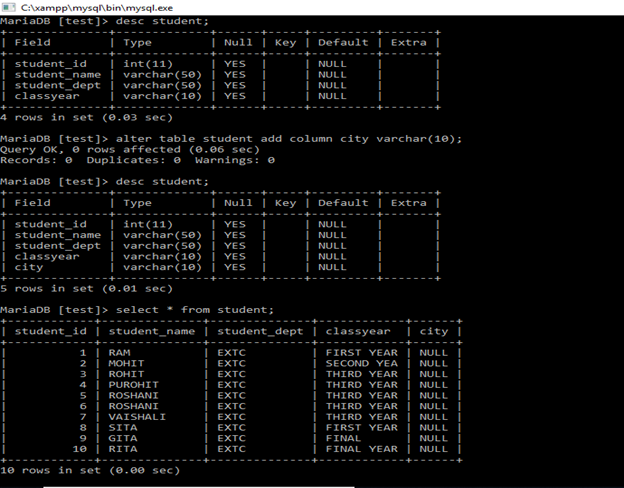 DESC: The DESC command shows the structure/ schema of the table. Schema means its structure. In a simple language, ‘it is a blueprint of a table’, which shows table name with its details like how many columns are present in that table, data type of each column means which type of value a column can hold. It shows keys, it shows whether column can hold null value or not, default values and extra information. New column ‘city’ is added to the STUDENT table. 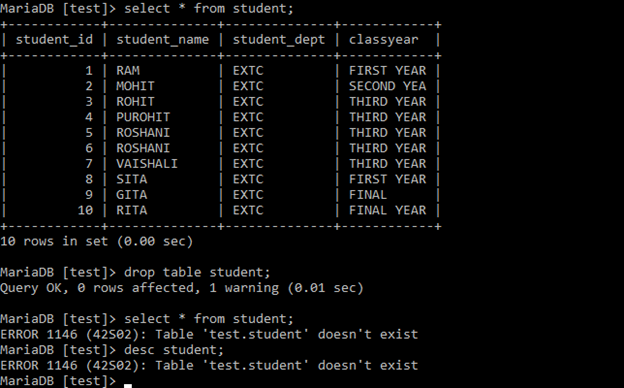 DESC command shows structure of student table before alteration and after alteration of table. Yet, we have not entered any value to the new column ‘city’. NULL is a default value for each column. City column shows null value for all records present in the table. Schema level modification is done using alter table. Not null constraint is added on column student_id. Primary key is added on two columns means combination of student_id and student_name become a primary key for table student. Here ‘city’ column is deleted using alter keyword. Now city column is not present in student table. 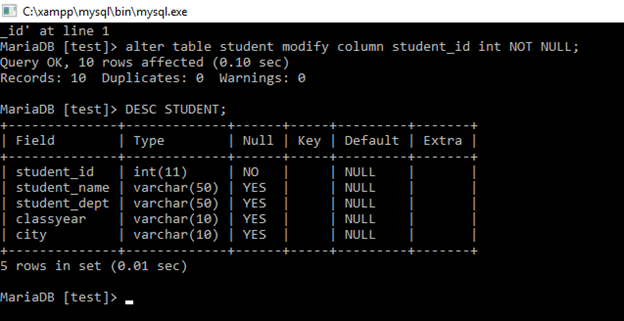 Output screen shows the structure of the table before deleting column city and also structure after deletion of city column. Drop command deletes all the data i.e. all records with structure/schema of the table from database.